Bundesliga | Who is Bayern Munich attacking midfielder Meritan Shabani? Who is Bayern Munich attacking midfielder Meritan Shabani? With the UEFA Champions League semi-final second leg against Real Madrid looming large on the horizon, Bayern Munich head coach Jupp Heynckes gave some of the club’s youngsters an opportunity to impress against Niko Kovac's Eintracht Frankfurt on Matchday 32. Meritan Shabani was one of three teenagers handed their competitive first-team debuts by Heynckes at the Allianz Arena that day - but where has the 19-year-old German-Kosovan been hiding during 12 years at the club? 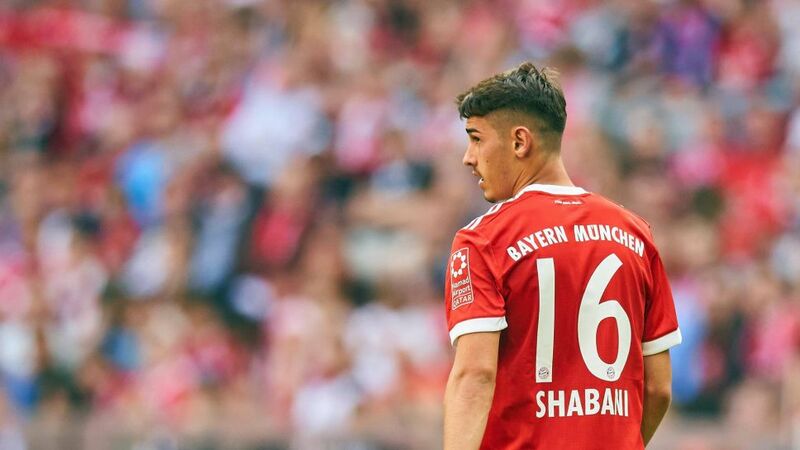 Used predominantly in the No.10 role for Bayern’s U19s this season, Shabani has been deployed in a number of positions since joining the Bavarians’ youth academy as a seven-year-old in 2006. He spent the majority of 2016/17 on the wing but started the current campaign as a second striker, playing just off Manuel Wintzheimer in the 1-0 UEFA Youth League victory over Anderlecht in September. In January, Shabani played the second half of Bayern’s 5-3 friendly victory over Großaspach, lining up in central attacking midfield alongside Franck Ribery and Manuel Friedl. His recent record for the U19s speaks for itself: Shabani has netted eight goals and set up a further five in just 20 league appearances for Sebastian Hoeneß’s team this season. He also started five of Bayern’s seven UEFA Youth League games and scored a stunner in the 3-1 group stage victory over Paris Saint-Germain in December, firing a rocket of a shot into the the net from a tight angle - similar to Joshua Kimmich’s strike against Real Madrid in the first leg.